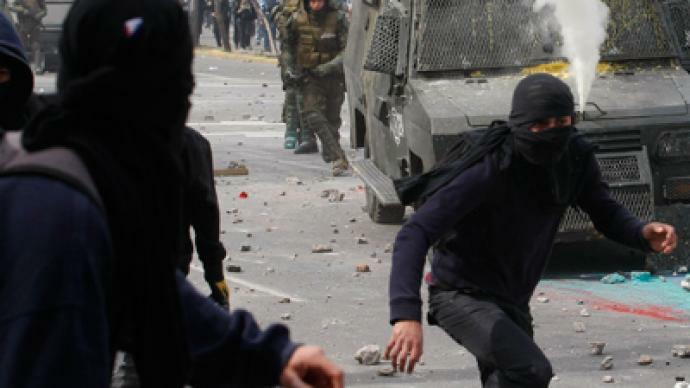 Clashes have broken out as tens of thousands of students and their supporters demanded improvements to Chile's public education system in the streets of Santiago. 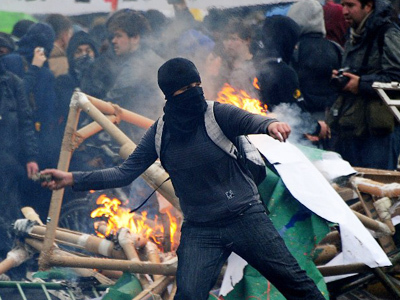 Police used tear gas and water cannons to disperse the most radical protesters. ­The march unfolded in a festive atmosphere and ended with a concert, after which several groups of hooded protesters attacked riot police with sticks and stones. 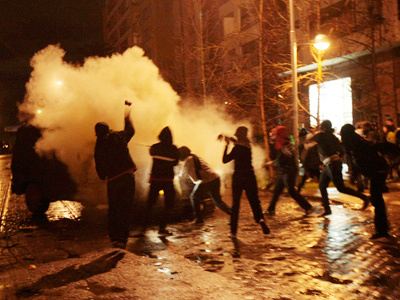 The police responded with tear gas and water cannons. A number of protesters were reportedly arrested. Smaller demonstrations also took place in other Chilean cities on Tuesday. The day’s protests drew over 150,000 people, according to organizers, while authorities put the figure at around 50,000. 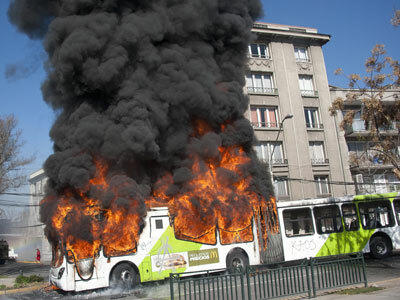 This time, the ongoing public actions protesting the Chilean education system were supported by educators and labor unions. The movement demands the elimination of school fees and calls for public schools to be better funded by the state.